It's been a while since I've posted anything. We've been busy lately. 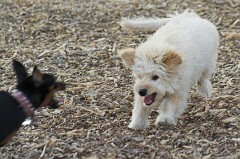 Here are some pics of another trip to the Fullerton dog park. Go here for the pics.